Geeking out over life, media, and beer. It seems like 2016 is the year that South Korean cinema struck hard after being somewhat dormant for years. While the nation has released a few gems such as New World and Snowpiercer in recent memory, it also tends to churn out plenty of melodramatic fare like Ode to My Father or nationalistic rubbish like The Admiral: Roaring Currents. Some time have passed since a great South Korean film capable of taking the world by storm arrived, so that there are quite a couple in 2016 is nothing short of wonderful. Auteur Park Chan-wook arguably placed his country on the cinematic map in the early 2000s with films like Sympathy for Mr. Vengeance and Oldboy (which is the South Korean masterpiece, in my opinion), and for him to emerge once more in this touchstone year with his first Korean film since 2009’s Thirst feels like destiny. 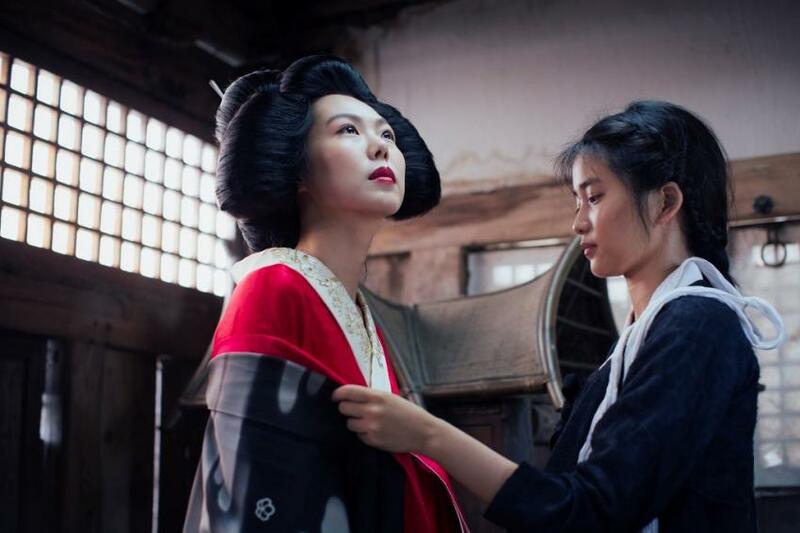 The Handmaiden, adapted from Welsh writer Sarah Waters’ novel Fingersmith, does deflate a bit in its third act, but there’s no denying that it’s a hell of a ride that is as riveting as it is lavishing, as hilarious as it is acute, and as elegant as it is intoxicating. This entry was posted in Movies on October 29, 2016 by Jun I. Perhaps no one ever thought about it, but this was a prime time for a film to really take the fight to D.W. Griffith’s 1915 silent epic The Birth of a Nation. Griffith’s most recognized picture – which screened at the White House in front of President Woodrow Wilson – bears a controversial and mixed legacy; though rightfully lauded for its innovations in filmmaking techniques, it’s also rightfully criticized for its vile, racist story. Over 100 years have passed, and during this time, we’ve witnessed the Civil Rights Movement, the election of the nation’s first African-American president, and the rise of Black Lives Matter, to name a few. Now, actor/writer/director/producer Nate Parker has taken that very film’s name and delightfully subverted it with his own feature … which too has mired in controversy that threatens to overwhelm it. Chances are, you’ve likely come across many an article and op-ed about the film and the circumstances surrounding it. The resulting conversation has brought into question whether art can be separated from the artist, and whether our principles should outweigh our engagement with art. Parker’s The Birth of a Nation is difficult to assess, and to be completely honest, I’m having trouble writing this. But write I shall, and as you read further, you may find that this isn’t so much a review as much as it is a collection of thoughts about how the film engaged me and how I responded to it. This entry was posted in Movies on October 14, 2016 by Jun I. This side of the 20th century has seen a noticeable rise in films based on recent events and tragedies. After all, United 93 and World Trade Center released not even five years after the September 11 attacks, and Captain Phillips came four years after the Maersk Alabama hijacking. 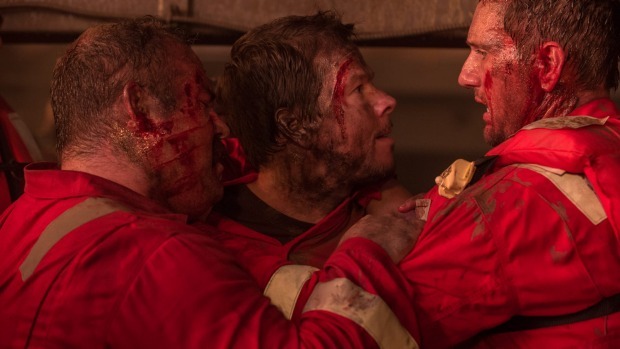 Filmmaker Peter Berg is part of this trend as well, as he has two such films in this year alone: Deepwater Horizon, depicting the 2010 explosion on the titular drilling rig, and Patriots Day, recounting the 2013 Boston Marathon bombing. The former arrived in theaters this past weekend, and while its portrayal of events is limited to a fault, it does make for a terrifying and visceral disaster film. This entry was posted in Movies on October 6, 2016 by Jun I. An auteur has returned home. It’s been three years since his Hollywood debut with The Last Stand and six years since his last Korean feature I Saw the Devil, and South Korean filmmaker Kim Jee-woon is once again making movies in his native land. His latest feature, The Age of Shadows, may mark a return to form; it has, after all, been chosen as the nation’s submission for next year’s Academy Award for Best Foreign Language Film. There’s no denying the breathtaking level of craft and entertainment in this espionage drama, even if its storytelling grasp does fall short of its reach. This entry was posted in Movies on October 3, 2016 by Jun I.